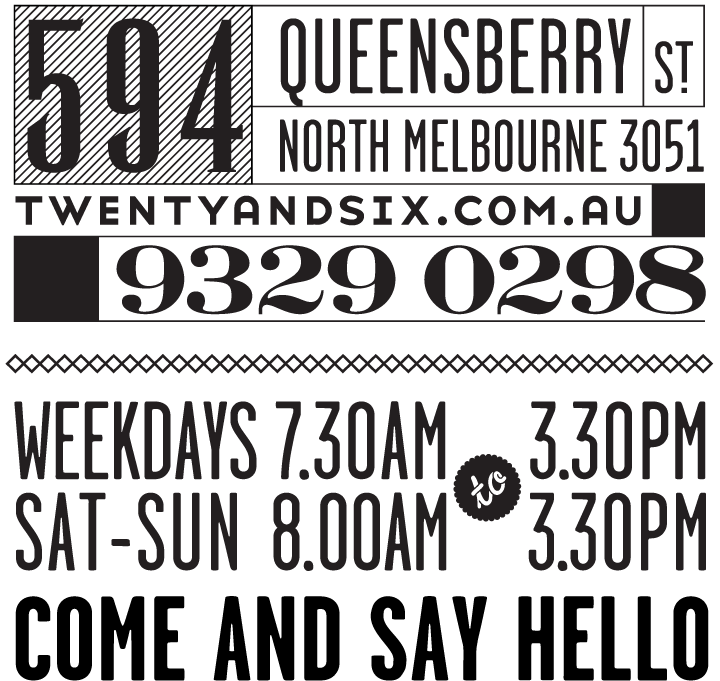 Our cafe is located on Queensberry Street, just a short walk from Errol St in North Melbourne. We have an accomplished and seasonal menu suited to all tastes and serve espresso and pour over coffee, as well as delicious cakes by our own sister cafes – Lip Cafe (Ivanhoe). We retail coffee beans by Seven Seeds. Our Brunch menu is served all day and & our kitchen closes at 3pm daily.